Carrot puree is a side course rich in vitamins and minerals, an excellent matching for delicate cheeses or a complete meal for babies. Prepare in large quantities and freeze comfortable single portions with LIFE blast chiller. Just a few minutes will be enough to regenerate this delicious homemade dish. After having washed, peeled, and thinly sliced carrots, arrange them in a pan. Bake the carrots in a steam oven for about 20 minutes. Alternatively, you can use a steamer. Meanwhile, heat the milk in a saucepan, taking care not to bring it to a boil. Start the pre-cooling function of LIFE domestic blast chiller at -15 °. As soon as the carrots are cooked remove them from the oven, put them in a blender and add hot milk, cheese, butter, a pinch of pepper, a teaspoon of salt and whisk for about 30 seconds, until all the ingredients will be well blended. You carrots puree is now ready. It can be served immediately or stored in 8 little aluminium containers, that will be at your disposal at any time an especially when you don’t have enough time to cook. Place the containers on a grid that will place in your LIFE blast chiller that you have pre-cooled. 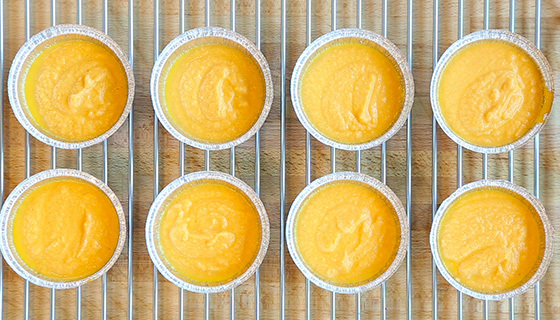 Once the puree has been frozen, remove the containers from the blast chiller and close them safely with their lids. 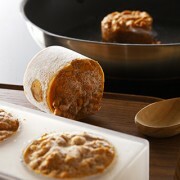 Keep the carrot puree in your freezer and when you want to heat them in the oven at 200 ° with 50% of steam. Otherwise, you can regenerate them in a bain-marie without no need to defrost in advance. 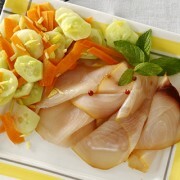 SWORDFISH CARPACCIO WHY DO FOODS DETERIORATE QUICKLY?